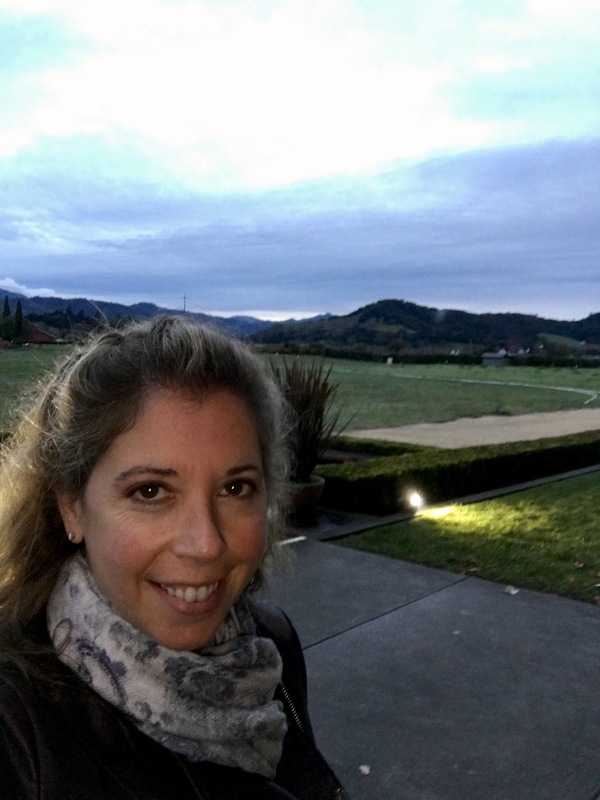 Napa: Day 2 – Eat, Drink, and Go! We kicked off the day with a short run and then a delicious, hearty breakfast to line our tummies for some serious wine tasting! The Harvest Inn does a great country breakfast that seems like it was made just for that purpose. 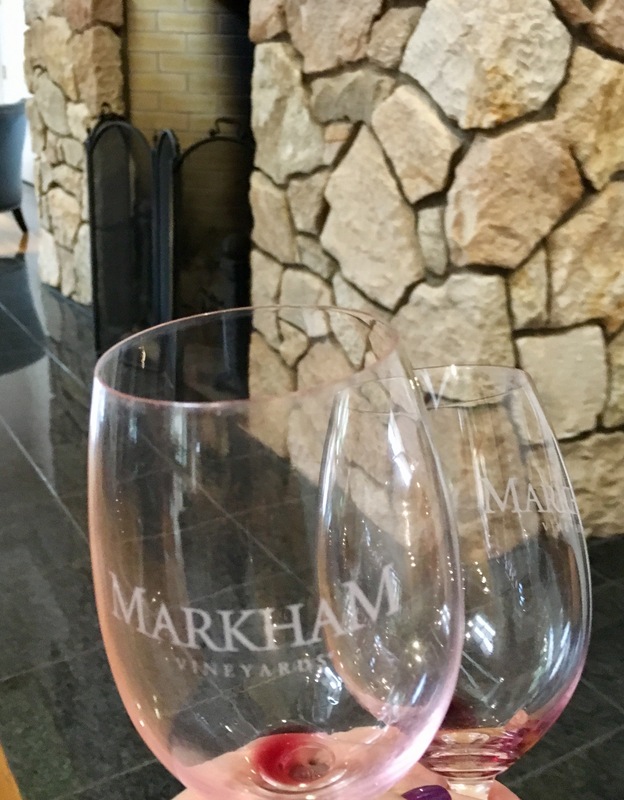 Our first stop was Markham Vineyards. I have been a club member here for a while because the wines are reliable, very good, and well priced. Belonging to wines clubs, as I mentioned yesterday, gets you special treatment. At Markham, this was the best tasting experience I’ve had there since I’ve joined the club and Ron was a great host. We sat in big comfy chairs and started with the white. Their Sauvignon Blanc is very good, but I forgot how much I liked their Chardonnay. I’m not generally a Chardonnay fan, but this one is fabulous. And what’s weird is that it is best served at room temp. Who knew? Our host Ron knew. It’s soft and buttery and almost a little effervescent, but not sharp. I bought. We progressed to the Zinfandel. I’ve had this one in my shipments and used to be afraid of Zins until trying Markham’s take on it. So smooth and flavorful. The peppery notes are very mellow, barely there, in this Zin. I love it. After the whites, we tasted through the above plus a few extras -membership perk (ahh, looking back, this is why I got so buzzed!) and enjoyed every sip. Did a side-by-side with the 2011 and 2012 Petit Verdot to really taste the difference a year makes. I liked both. 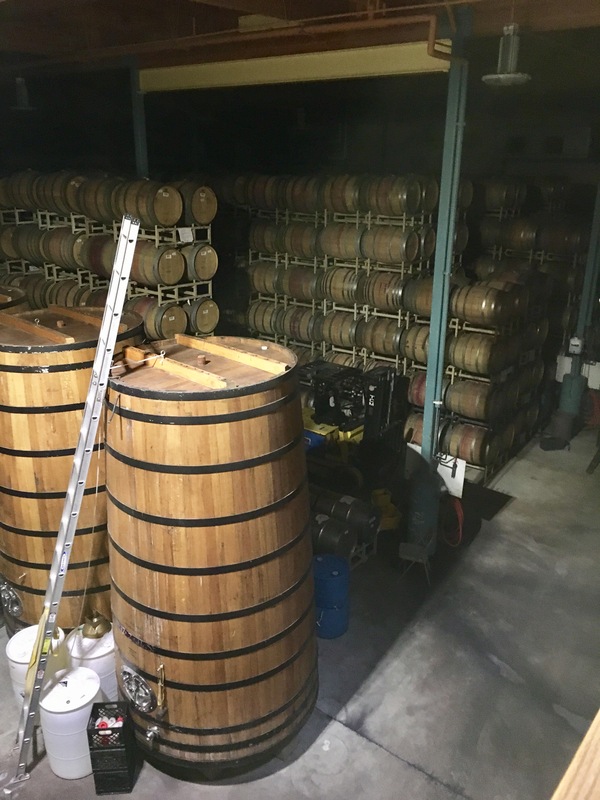 We took a glass upstairs to check out their art collection and while we were up there, our host came up and said “guys, it’s pretty slow now – you want a tour of the barrel rooms and wine-making facilities?” Heck yes!! We quietly visited the wines as they slept! Do not disturb! 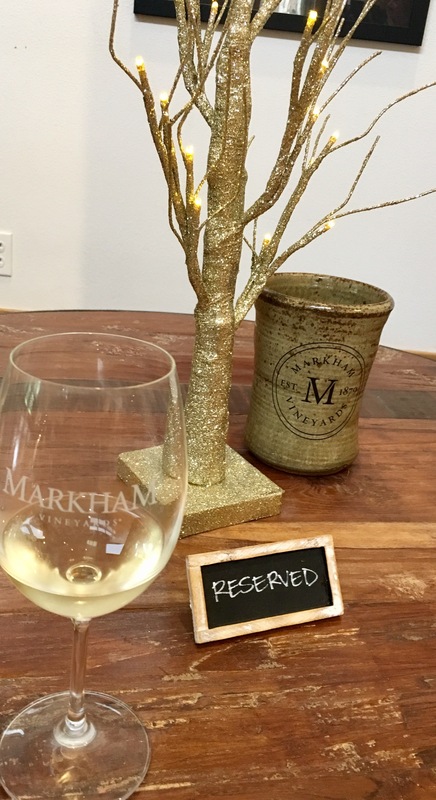 The winemaker for Markham, Kimberly, is outstanding. Her creations of each varietal meet the viticultural needs of the masses in that the wines are so easy to approach and rarely do I feel like I need to get used to them. I’m not a wine expert, but I know what I like and generally folks like my recommendations. 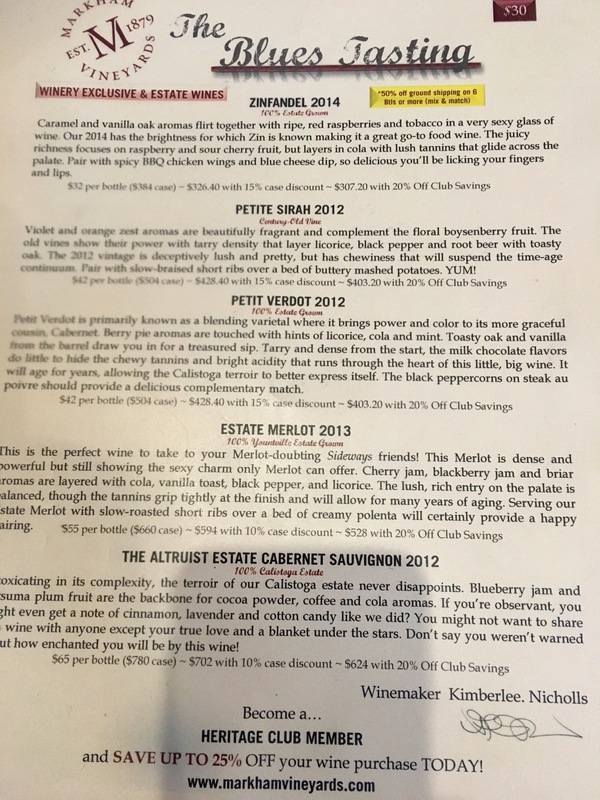 We returned to our tasting to enjoy the rest of the reds, saving their single vineyard Cabs, the Altruist and Philanthropist Cabernet Sauvignons. We left with a hefty shipment of wines on the way to meet us back home. As well as some cool tshirts and a bottle of their Philanthropist Cabernet Sauvignon for the room. After our tasting, three hours of such (wow!!! ), we went over to the Culinary Insitute of America at Greystone. 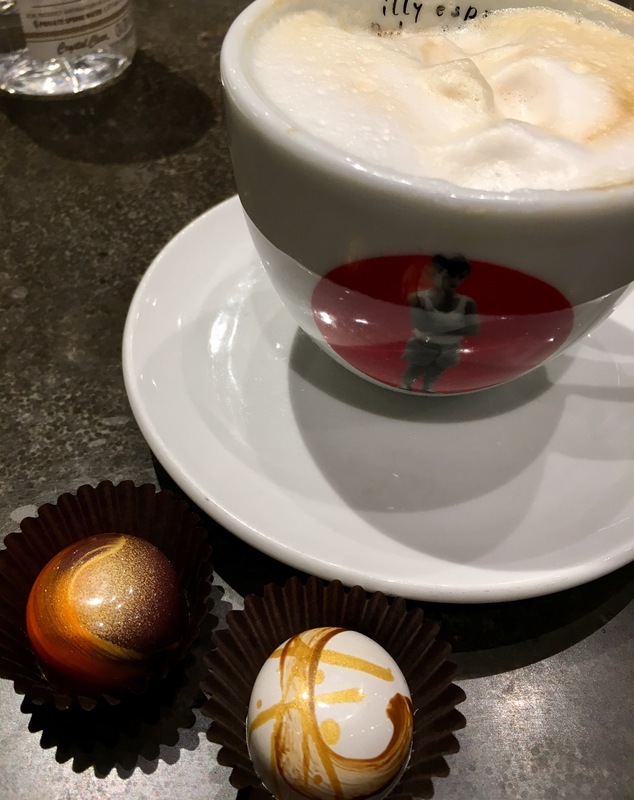 We decided that chocolates and cappuccinos would be a great lunch after our tasting! 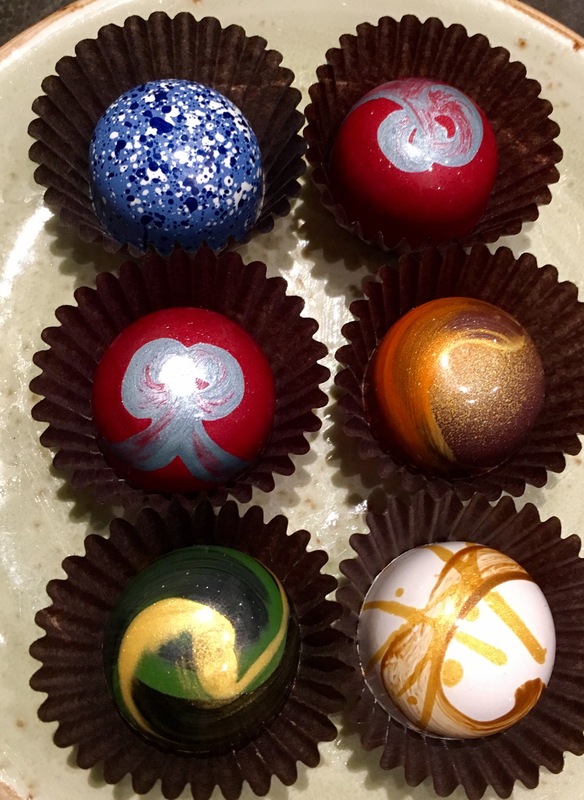 These beautiful hand-painted chocolates are almost too pretty to eat!! I tried the egg nog, the maple spice, and the Irish cream. Mmmmm!! Delicious. Looking back, we probably should have had something a bit heartier before our next tasting. Oops! Our afternoon was switched up a little due to weather and we decided to do our other wine club, which I know I’ve written about a lot, Clos du Val. 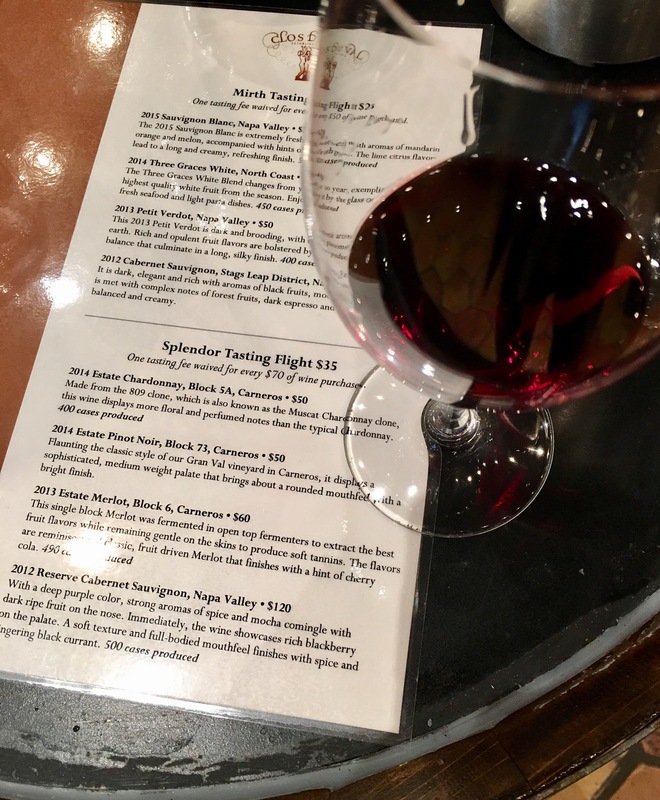 It’s set on the Silverado Trail in the Stag’s Leap District and prides itself on deep rich reds that do not disappoint. My blog in August had much better pics of the winery, as the weather was so much more picturesque. Though today was rainy and chilly in the valley, the red wines kept us warm! Clos du Val’s reserve Cab and Estate Merlot are my faves – outstanding. Both are soft, smooth and rich with luciousness exemplifying the best of each one’s varietal. They started making a brandy there too, but unfortunately they cannot offer tastings. Just as well, I had consumed plenty of wine for this day!! Good evening Napa Valley!